For centuries, humankind has searched for the meaning of life and the mysteries of the universe. Beginning in Africa, the ancient peoples “…were active pyramid builders and experts at astronomy even before their Egyptian neighbors…” (Jackson 32). Forced to run from western invaders, they fled to “…where they could safely practice their high astronomical sciences and continue their age-old research in the physics of Creation itself” (44). In D. Amari Jackson’s thrilling novel, The Savion Sequence, it is this search that propels the reader on a journey of discovery fraught with family secrets, science, and murder! The story opens in the home of Savion Elijah, a noted professor and distinguished scholar of African history – and Professor Elijah has visitors! His brilliant research to find the “…perfect balance between heaven and earth” (214) has created a maelstrom! And soon, his nephew Brigham Elijah will understand just how much his family has sacrificed for the “…fulfillment of [a] larger wish to know and to affect the trajectory of humanity…” (232)! Moving at lightning speed, Brigham, his girlfriend Samora, and Moja – a gifted 19-year-old African mathematician – embark on a journey that traverses the globe and requires the full use of their intellectual ability to decipher the hidden messages and codes leading to an amazing metaphysical discovery! And with D. Amari’s clever writing and intriguing story line, each chapter builds upon the next – enticing the reader to keep turning the page as the three race to uncover a supreme knowledge “…so significant that there [are] folks around who would actually kill to keep it under wraps…” (91)! 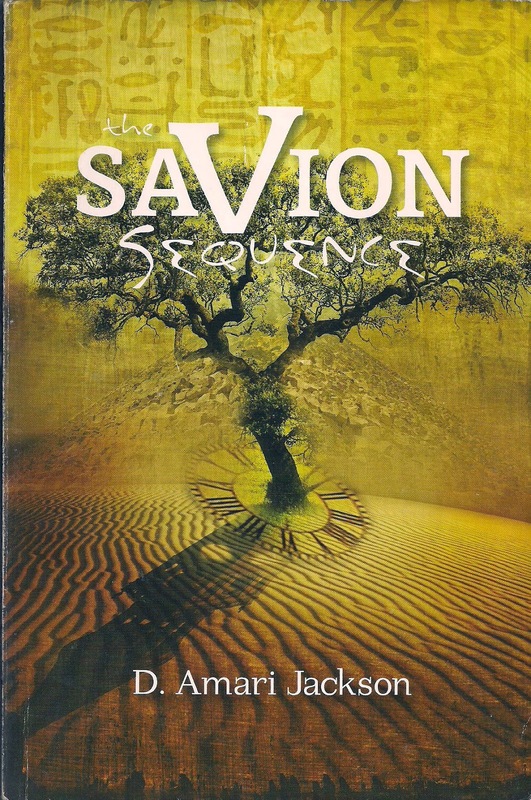 The Savion Sequence is a definite must read! The book is a “…tribute to the nighttime sky and to ancient Africa-Egypt in particular” (8). And it’s uniqueness as an African-centered mystery which showcases “…the astronomical acumen of the Dogon..." (18) and the societal contributions of the Nubian, is enough to warrant a place on any bookshelf! I will leave you with my favorite line in the book, as it is great advice for us as we continue to move forward in this new millennium: “There are keys to everything we do in life…it’s up to us to listen to that voice inside that leads us to where they are, or tells us what to do next” (75).